Why is there always that one recipe that just happily sits in your “drafts” for months, waiting for you to post it? Well, we are bringing back these Double Chocolate Cookies in this weeks “Throwback Thursday” post! Cookies are just perfect any time of the year. I just love them, and could eat them all day, every day! 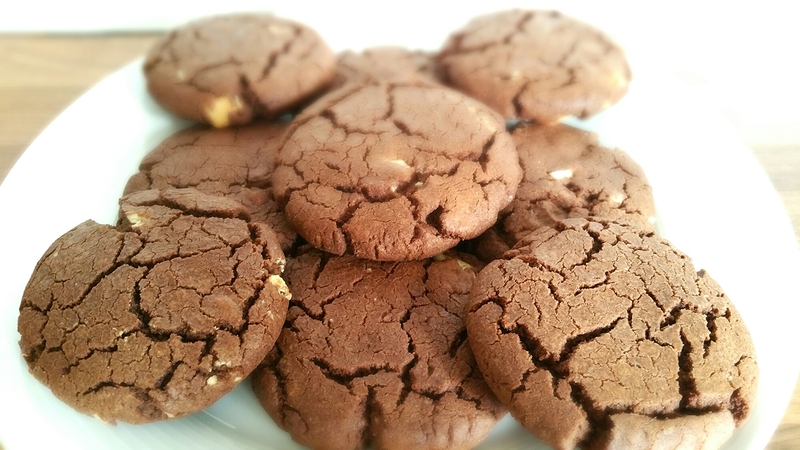 The best part about cookies, is that the dough is always the same, but you can add so many different ingredients to come up with a number of different flavours. I had already experimented last year with the Chocolate Stuffed Cookies, as well as these Peanut Butter and M&M Cookies. All equally delicious, and all follow the same recipe, but each comes with a few added tweaks here and there to come come up with something different every time! Beat together the sugars, butter and vanilla essence until well combined. Add the egg and beat again – it may curdle to start with, but not to worry, just beat a little linger and it will start to come back together. Add the flour and cocoa powder and mix together until a soft dough is made. Finish by adding the chocolate chunks and mix until evenly combined throughout the dough. Remove the dough from the bowl and roll out into a long sausage shape onto a lightly floured work surface. Divide the mixture into approximately 16 pieces, depending on the size of the cookie (remember they expand in the oven!). Bring each piece of dough together into a ball and pop onto a tray covered in greaseproof paper. Bake in the oven at 180C for around 10-12 minutes. They should start to crack on top when they are cooked, but if you prefer an extra crunch to your cookie, you may wish to bake for a further few minutes. Once you have removed from the oven, allow to firm up for a minute or two, before cooling on a wire rack. Now, storing these bad boys shouldn’t be a problem, a small tin will do! Although if your like me, they may not even last long enough to make it to a tin! 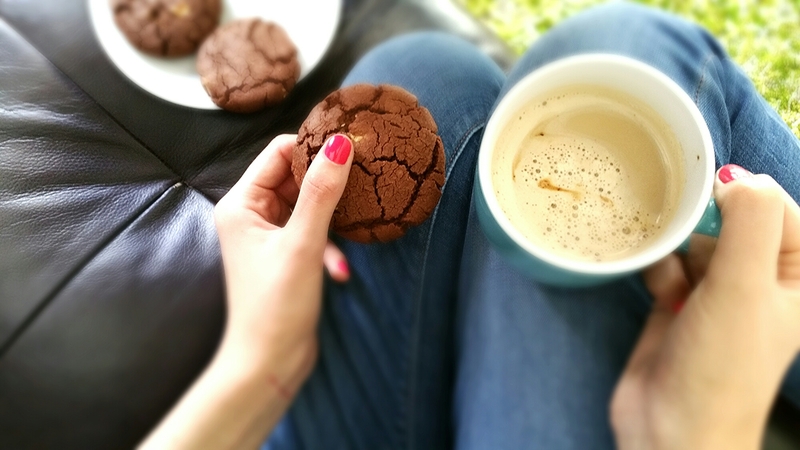 Are you like me and love cookies? What are you favourite flavour combinations?